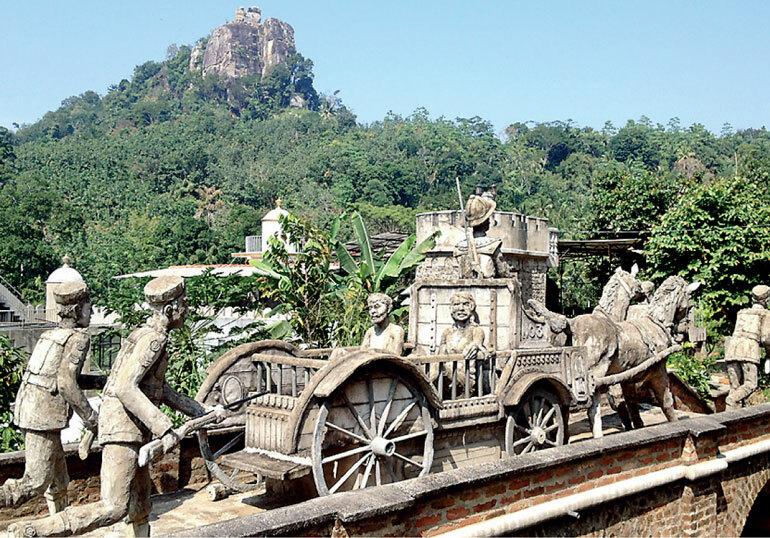 In the heart of Mawanella, a town which belongs to the Kegalle District, lies a village which was once home to the legendary outlaw known as ‘Uthuwankande Soora Saradiel’. 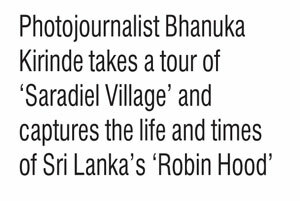 ‘Saradiel’ who is also known as the Sri Lankan Robin Hood was born in 1832 during the time Ceylon was under British rule and he paid the ultimate price for taking on the colonial rulers, which in turn ensured him a place in Lankan folklore as a hero. 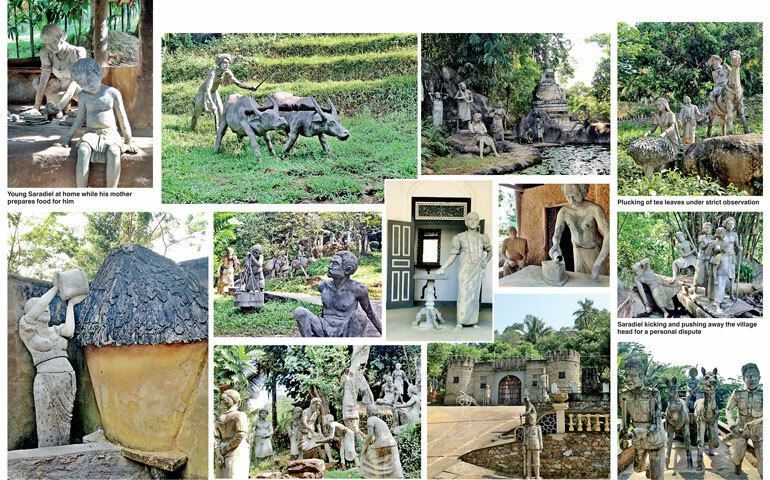 ‘Saradiel’ was the son of a Catholic merchant named Adissi Appu from Chilaw and a Buddhist lady named Pitchohamy from Uthuwankanda. Having completed his primary education at the village temple, he moved to Colombo to work as barrack boy among Malay soldiers. During this time, ‘Saradiel’ learnt the art of using weapons but his stay among the soldiers was cut short when he was dismissed for committing theft. Soon after his dismissal, he moved to Uthuwankanda, his mother’s village where he began the life of an outlaw. ‘Saradiel’ was the leader of a gang who gained notoriety for attacking British interest and robbing them of their riches. The Colombo-Kandy Royal Mail coach had been one of the gang’s favourite targets. ‘Saradiel’ was popular among the anti-British villagers as he generously distributed the stolen stuff amongst them. This won him the adulation of the villagers and on several instances when the British authorities were looking to apprehend him, the villagers helped ‘Saradiel’ to escape. As stories of his exploits grew, the colonial authorities were infuriated and were eager to see the man was captured and put away. The bandit was causing many problems to the administration in the Mawanella region and a special unit of the Police was assigned in order to capture him. For many years ‘Saradiel’ was able to escape and avoid capture. ‘Saradiel’ was named the most wanted man along with his childhood friend ‘Mammale Marikkar’ who had been his accomplice throughout the years. The bounty on their heads was set at 150 pounds, a princely sum during the time. But as with all outlaws, their time on the run finally had to end. On 21 March 1864, the Police launched a mission to capture Saradiel and Marikkar. They had information the two would be visiting Saradiel’s mother. At an encounter with the Police here, gunshots were exchanged and Saradiel was wounded but with help from his friend, he managed to escape. However before getting away, ‘Mammale Marikkar’ opened fire at the Police party in which a Policeman by the name of Sabhan was killed. The day is commemorated annually as Police Day. Saradiel’s end came when he was betrayed by a member of his own gang named ‘Sirimala’. He had turned out to become a Police informant and managed to lure ‘Saradiel’ and ‘Mammale Marikkar’ to a house where Police lay in wait for them. Their luck ran out finally that day when the duo was finally captured after many years on the run. The two were found guilty after trial and sentenced to death. They were publicly executed on 7 May 1864. 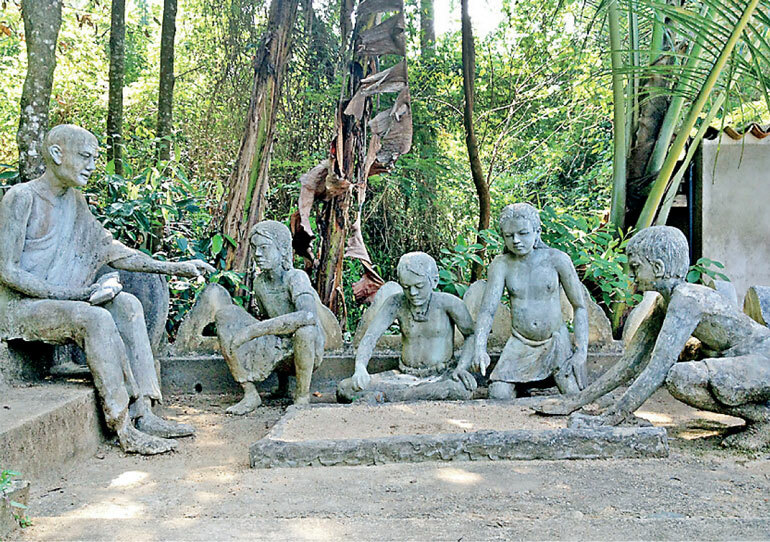 Today the legend of ‘Saradiel’ has been recreated at the ‘Saradiel Village’ located at the foothills of Uthuwankanda, the rocky mountain which had been his hiding place. A visitor to Saradiel Park can enjoy a guided tour which will take one through the life of the famous outlaw from childhood to his execution with life-size sculptures bringing to life the important personalities of the time.